Male slip hub/spigot with flange for valve attachment. 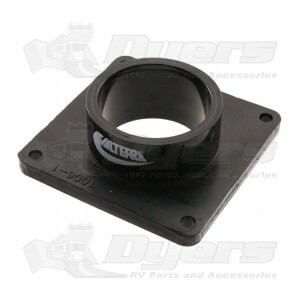 Flange Base: 2-7/8" x 2-7/8"
Pipe Side: stands 3/4" Tall off base with 1-9/16" I.D. and 1-15/16" O.D. Valve Side: 1-3/4" O.D. with 1-9/16" I.D.